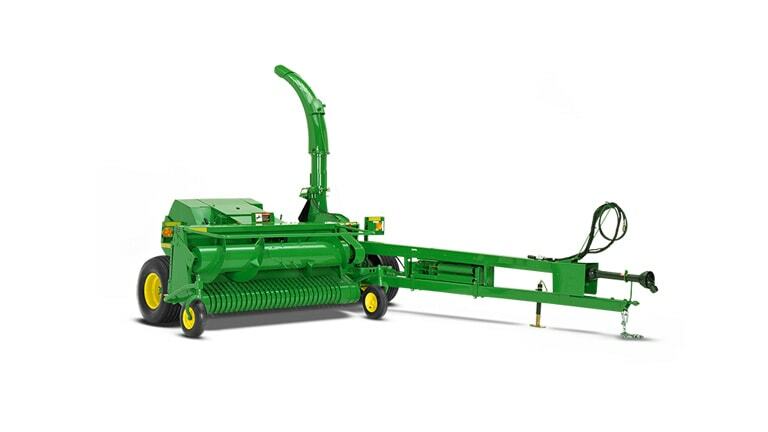 John Deere and UNITED AG AND TURF is offering great finance options on Round Balers, Pull-Type Mower-Conditioners MOCO (excluding Triple-Mounted Mower Conditioners), Pull-Type Forage Harvesters and Heads, and Disc Mowers. John Deere Balers are made with one purpose: strengthening overall performance of customer production. From bale spears to bale wrappers, whatever your hay needs are, John Deere has equipment that delivers. Consistent square bales start with a John Deere small square baler providing dependable performance. When it comes to cutting hay, your John Deere dealer has you covered. Fast, clean cutting that helps you get the most from your hay fields. John Deere makes innovative solutions for farming and has years of experience to create field equipment that works. John Deere Disc Mowers are designed with speed in mind. Hook up is easy—a Quik-Coupler is available on the three larger models. - Round Balers offer valid on purchases made between February 1st 2019 - April 30th 2019. Subject to approved installment credit with John Deere Financial, for agricultural-use only. 20% down payment may be required. 0% APR is for 36 months only. Taxes, freight, setup and delivery charges could increase monthly payment. Sales made to government agencies, company direct sales or other businesses/agencies that participate in John Deere's Special Discount Program or Rental Business Program are not eligible. Available at participating U.S. dealers. Prices and models may vary by dealer. Offers available on new John Deere Round Balers and in the U.S. only. Prices and savings in U.S. dollars. 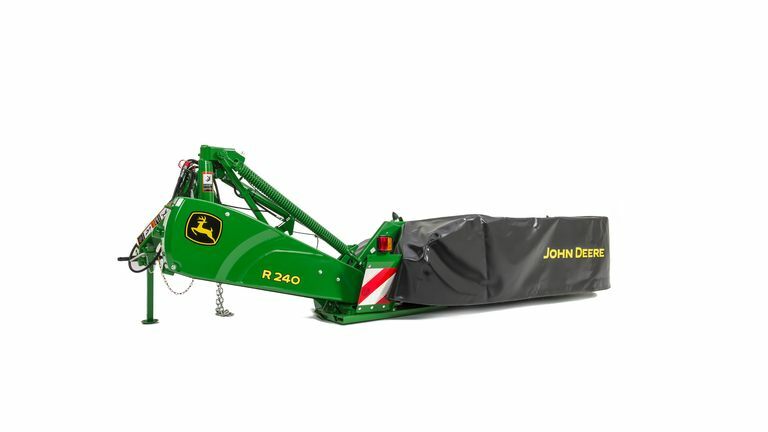 - Round Balers offer valid for $750 off all new John Deere 450E Round Balers purchased from an authorized John Deere dealer between February 1st 2019 - April 30th 2019. Prices and models may vary by dealer. This offer can be combined with regular finance options. Some restrictions apply, so see participating dealer for details and other financing options. Offer is available at participating United States dealers. Prices and savings are in U.S. dollars. - Pull-Type Mocos offer valid on purchases made between February 1st 2019 - April 30th 2019. Subject to approved installment credit with John Deere Financial, for agricultural-use only. 20% down payment may be required. 0% APR is for 36 months only. Taxes, freight, setup and delivery charges could increase monthly payment. Sales made to government agencies, company direct sales or other businesses/agencies that participate in John Deere's Special Discount Program or Rental Business Program are not eligible. Available at participating U.S. dealers. Prices and models may vary by dealer. Offers available on new John Deere Hay & Forage Mower Conditioners and in the U.S. only. Prices and savings in U.S. dollars. - Pull-Type Mocos offer valid on purchases made between February 1st 2019 - April 30th 2019. Subject to approved installment credit with John Deere Financial, for agricultural-use only. 20% down payment may be required. 1.90% APR is for 48 months only. Taxes, freight, setup and delivery charges could increase monthly payment. Sales made to government agencies, company direct sales or other businesses/agencies that participate in John Deere's Special Discount Program or Rental Business Program are not eligible. Available at participating U.S. dealers. Prices and models may vary by dealer. Offers available on new John Deere Hay & Forage Mower Conditioners and in the U.S. only. Prices and savings in U.S. dollars. - Pull-Type Mocos offer valid on purchases made between February 1st 2019 - April 30th 2019. Subject to approved installment credit with John Deere Financial, for agricultural-use only. 20% down payment may be required. 2.9% APR is for 60 months only. Taxes, freight, setup and delivery charges could increase monthly payment. Sales made to government agencies, company direct sales or other businesses/agencies that participate in John Deere's Special Discount Program or Rental Business Program are not eligible. Available at participating U.S. dealers. Prices and models may vary by dealer. Offers available on new John Deere Hay & Forage Mower Conditioners and in the U.S. only. Prices and savings in U.S. dollars. - Pull-Type Mocos offer valid for $1,000 off all new John Deere 625 and 630 Mower Conditioners purchased from an authorized John Deere dealer between February 1st 2019 - April 30th 2019. Prices and models may vary by dealer. This offer can be combined with regular finance options. Some restrictions apply, so see participating dealer for details and other financing options. Offer is available at participating United States dealers. Prices and savings are in U.S. dollars. - Pull-Type Forage Harvester offer valid on purchases made between February 1st 2019 - April 30th 2019. Subject to approved installment credit with John Deere Financial, for agricultural-use only. 20% down payment may be required. 0% APR is for 36 months only. Taxes, freight, setup and delivery charges could increase monthly payment. Sales made to government agencies, company direct sales or other businesses/agencies that participate in John Deere's Special Discount Program or Rental Business Program are not eligible. Available at participating U.S. dealers. Prices and models may vary by dealer. 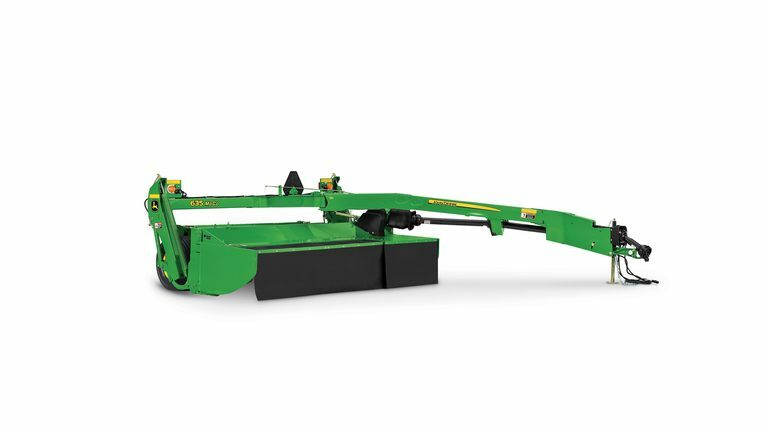 Offers available on new John Deere Pull-Type Forage Harvesters & Heads and in the U.S. only. Prices and savings in U.S. dollars. - Pull-Type Forage Harvester offer valid on purchases made between February 1st 2019 - April 30th 2019. Subject to approved installment credit with John Deere Financial, for agricultural-use only. 20% down payment may be required. 1.9% APR is for 48 months only. Taxes, freight, setup and delivery charges could increase monthly payment. Sales made to government agencies, company direct sales or other businesses/agencies that participate in John Deere's Special Discount Program or Rental Business Program are not eligible. Available at participating U.S. dealers. Prices and models may vary by dealer. Offers available on new John Deere Pull-Type Forage Harvesters & Heads and in the U.S. only. Prices and savings in U.S. dollars. - Pull-Type Forage Harvester offer valid on purchases made between February 1st 2019 - April 30th 2019. Subject to approved installment credit with John Deere Financial, for agricultural-use only. 20% down payment may be required. 2.9% APR is for 60 months only. Taxes, freight, setup and delivery charges could increase monthly payment. Sales made to government agencies, company direct sales or other businesses/agencies that participate in John Deere's Special Discount Program or Rental Business Program are not eligible. Available at participating U.S. dealers. Prices and models may vary by dealer. 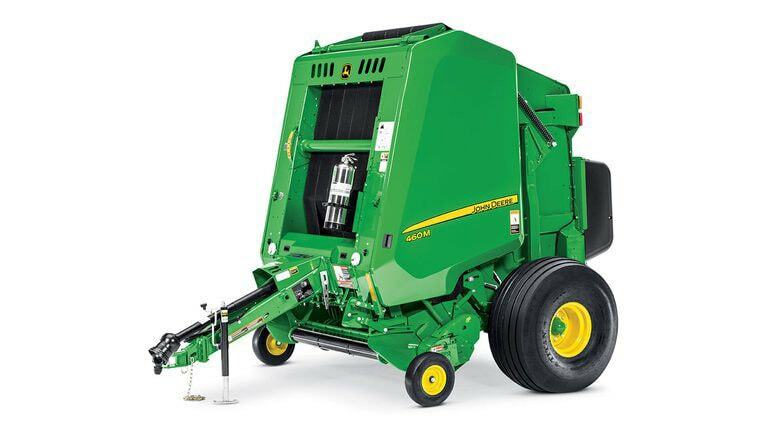 Offers available on new John Deere Pull-Type Forage Harvesters & Heads and in the U.S. only. Prices and savings in U.S. dollars. - Disc Mowers Offer valid on purchases made between February 1st 2019 - April 30th 2019. Subject to approved installment credit with John Deere Financial, for agricultural-use only. 20% down payment may be required. 0% APR is for 36 months only. Taxes, freight, setup and delivery charges could increase monthly payment. Sales made to government agencies, company direct sales or other businesses/agencies that participate in John Deere's Special Discount Program or Rental Business Program are not eligible. Available at participating U.S. dealers. Prices and models may vary by dealer. Offers available on new John Deere R Series Disc Mowers and in the U.S. only. Prices and savings in U.S. dollars. - Disc Mowers Offer valid on purchases made between February 1st 2019 - April 30th 2019. Subject to approved installment credit with John Deere Financial, for agricultural-use only. 20% down payment may be required. 1.90% APR is for 48 months only. Taxes, freight, setup and delivery charges could increase monthly payment. Sales made to government agencies, company direct sales or other businesses/agencies that participate in John Deere's Special Discount Program or Rental Business Program are not eligible. Available at participating U.S. dealers. Prices and models may vary by dealer. Offers available on new John Deere R Series Disc Mowers and in the U.S. only. Prices and savings in U.S. dollars. - Disc Mowers Offer valid on purchases made between February 1st 2019 - April 30th 2019. Subject to approved installment credit with John Deere Financial, for agricultural-use only. 20% down payment may be required. 2.90% APR is for 60 months only. Taxes, freight, setup and delivery charges could increase monthly payment. Sales made to government agencies, company direct sales or other businesses/agencies that participate in John Deere's Special Discount Program or Rental Business Program are not eligible. Available at participating U.S. dealers. Prices and models may vary by dealer. Offers available on new John Deere R Series Disc Mowers and in the U.S. only. Prices and savings in U.S. dollars.